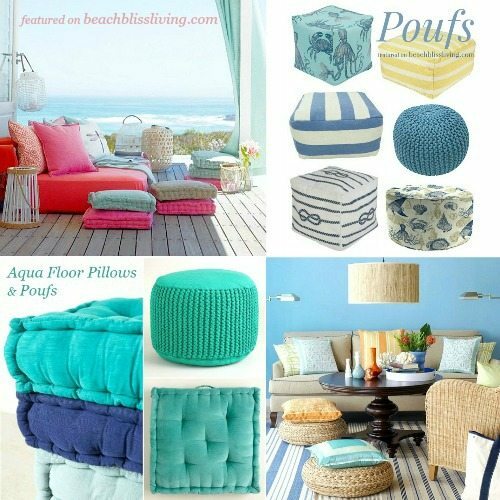 Floor pillows and poufs have been popping up everywhere. 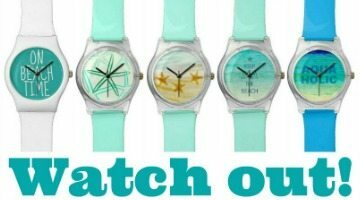 And they are made for beach bliss living! 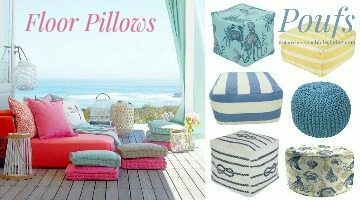 In keeping with the relaxed, laid-back lifestyle we all enjoy at the beach, floor pillows and poufs provide casual loungy seating. Poufs also can do double duty as tables! 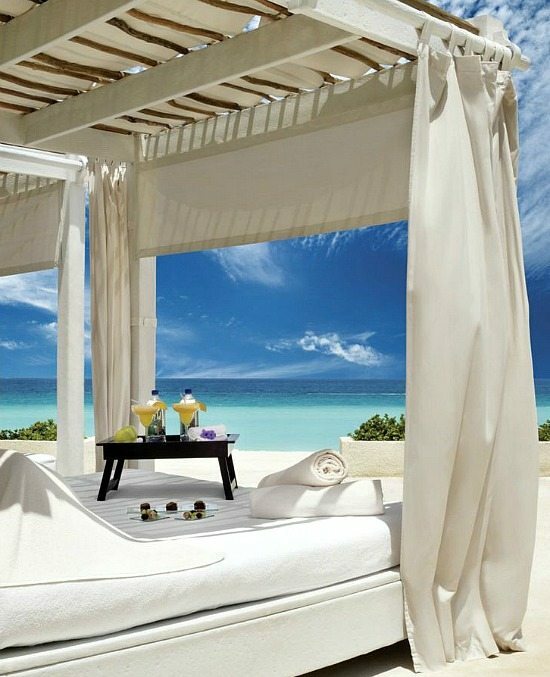 Lounge resort style in your own backyard with a beach cabana. 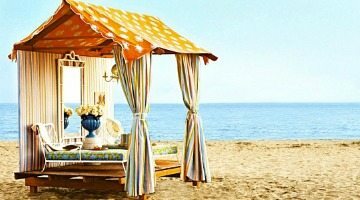 Convert a shed, gazebos, pergola, or buy a cabana! 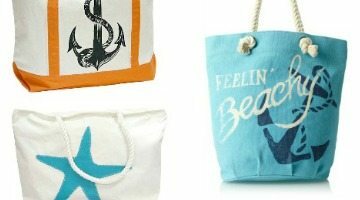 I found my beach bag! 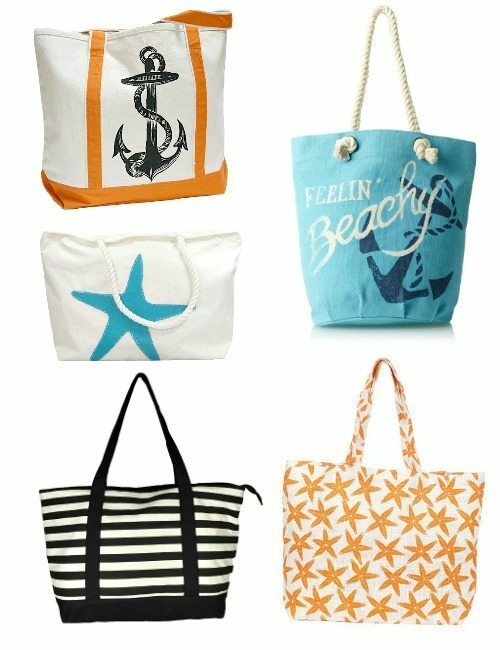 I needed it large and sturdy to use for my Florida trip, taking it to the beach as well as hauling groceries with it. And of course, it had to go with my wardrobe. 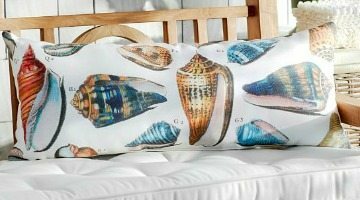 Pottery Barn’s Outdoor Pillow Collection includes a great selection of pillows for the beach enthusiast, featuring sea shells and adorable ocean critters that you will love. All under $40. 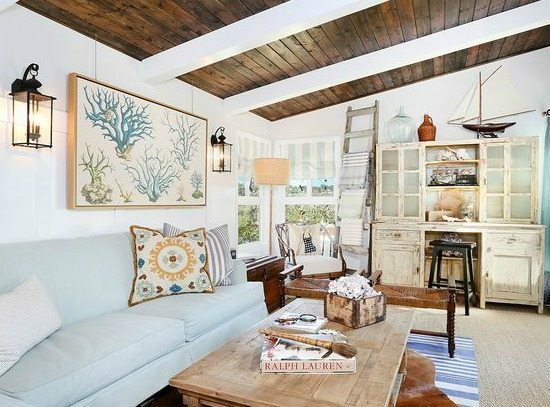 This living room, designed by Tuvalu Home, features a big ocean beach fabric wall art piece that I think is gorgeous! Using fabric is an easy way to create a large piece of art! 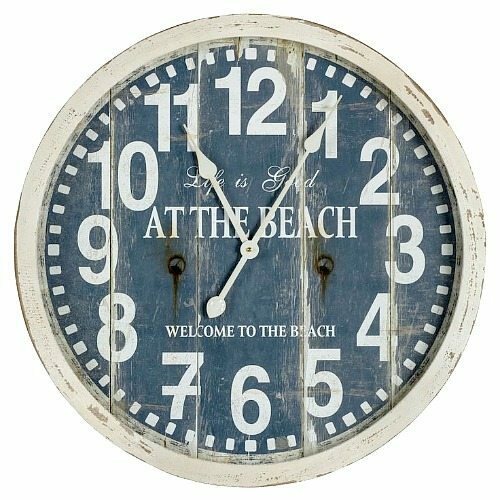 No matter what size your outdoor space is, or how far away from the beach it is, you can transform it into a beach oasis! 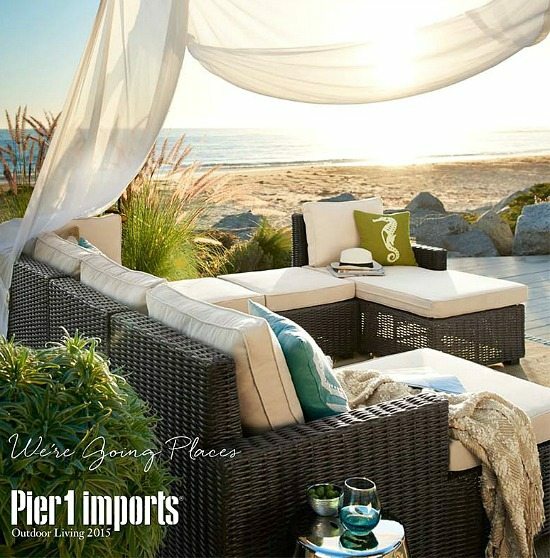 You will find everything you need from Pier 1’s and Target’s outdoor patio and porch collections. 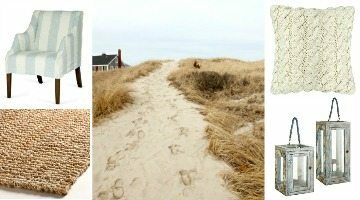 Hayneedle’s Shoreline Living consists of several styleboards with beach decor items in soothing neutral sun-bleached palettes and blue hues that recall the ocean. 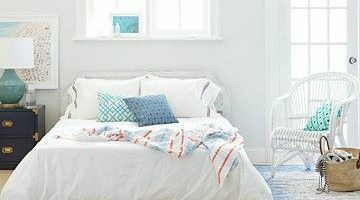 Here are my favorite finds! 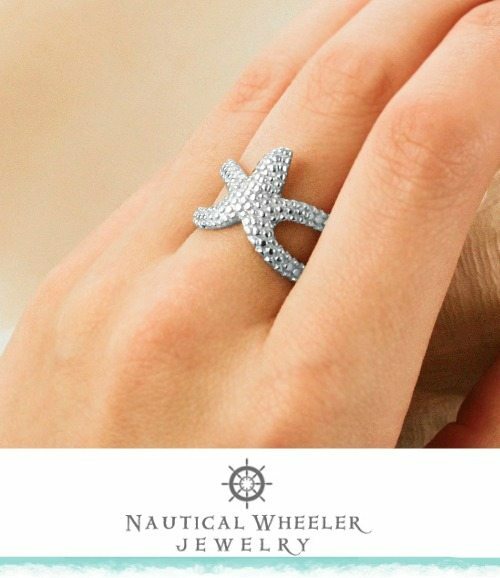 Nautical Wheeler Jewelry creates the most beautiful handmade beach resort jewelry inspired by travels. 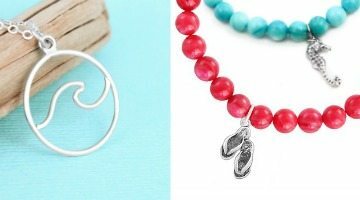 You will love the simple beachy designs and bright summer colors! 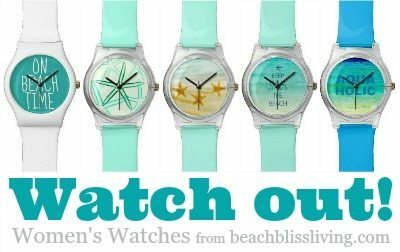 These Beach Watches will make you forget the race, and have you move slow pace, cherishing the minutes and hours! 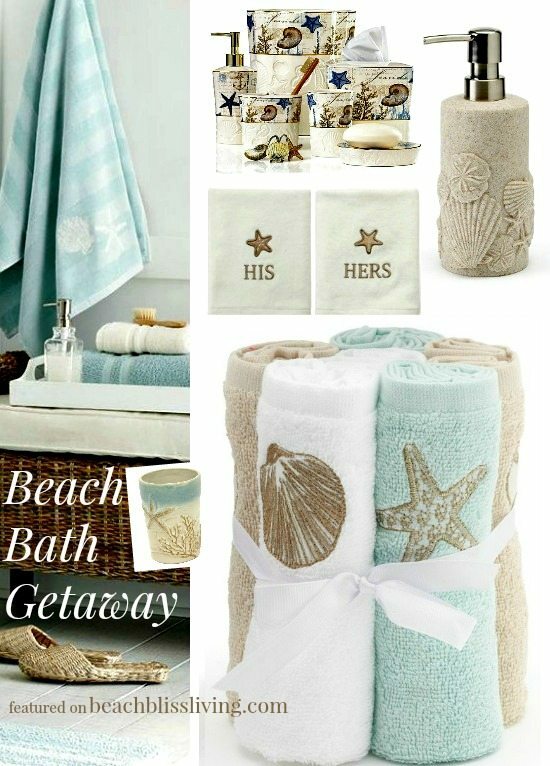 Read moreTransform your Bathroom with these Beach Themed Accessories! 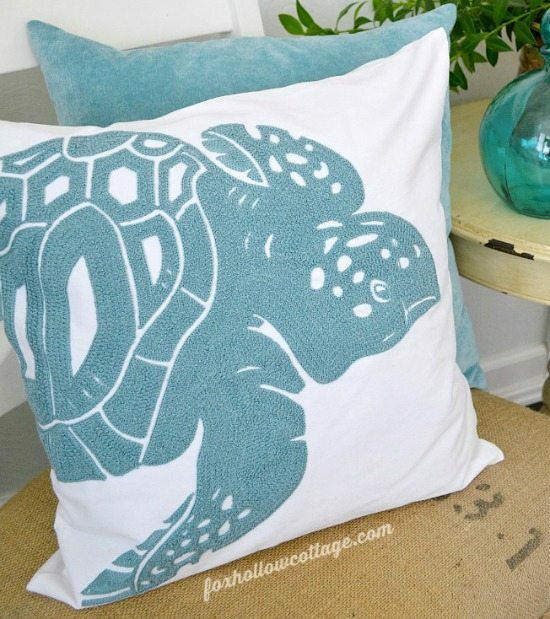 Refresh your home with budget friendly aqua blue sea life pillows! 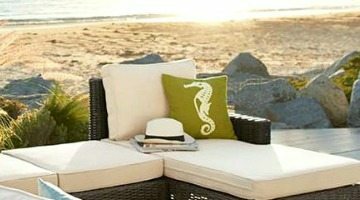 These pretty aqua blue pillows feature embroidered starfish, seahorse, sea turtle and crab. 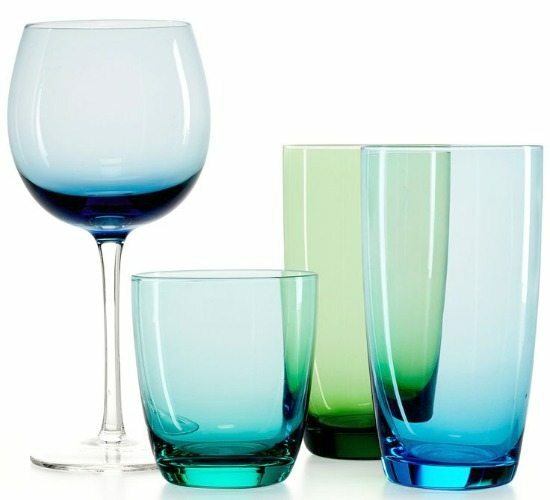 Beautiful blue drinkware in hues that range from aqua to turquoise. Looking into these drinking glasses is like looking into clear beautiful ocean waters. From wine glasses, to tumblers, to blue mason jars. 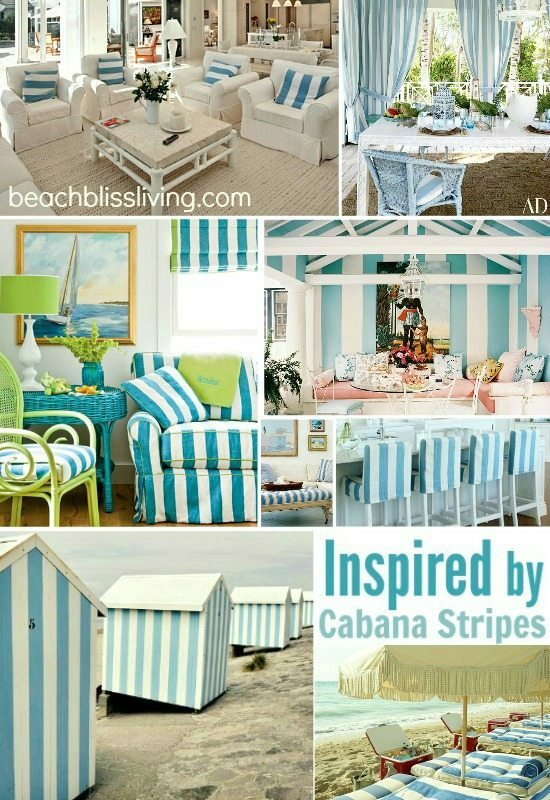 Blue cabana stripes capture the beach experience in a wonderful breezy way. You can almost smell the warm salt tinged air. 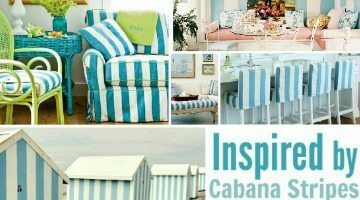 Cabana stripes are the classic summer print. 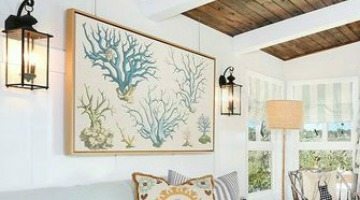 Work them into your decor and you’ll feel like you’re on vacation all year long. 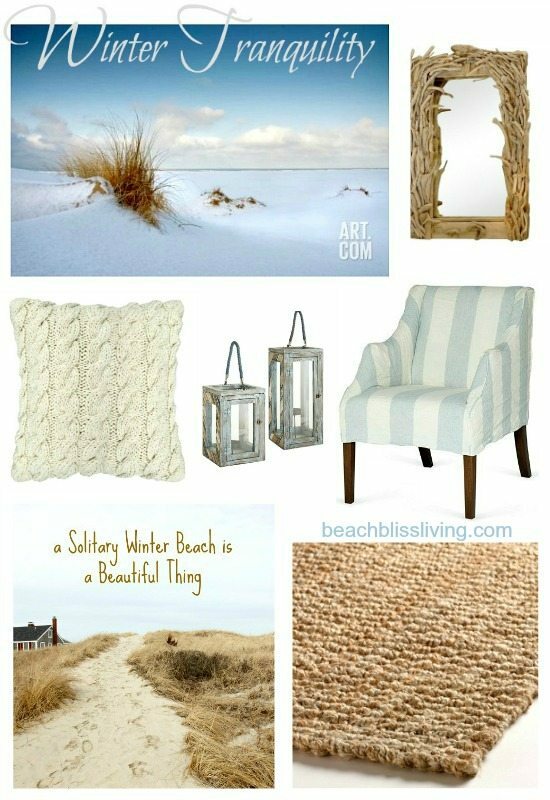 Beach decor winter style for the Northern Hemisphere. Think Montauk, for example, on the farthest end of Long Island, NY. It is beautiful and rugged out there, cold and empty at this time of the year. 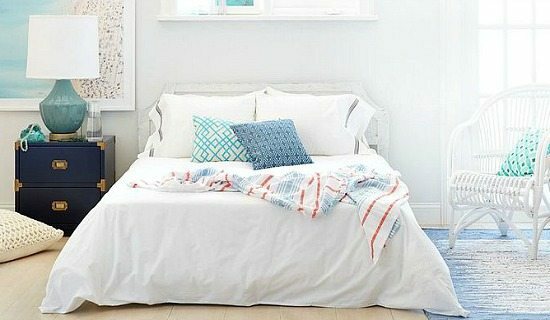 Go light with the palette and heavy on the textiles & textures, and get ready to cozy up!